My grandfather was a barber. He grew up in West Texas, his family tenant farmers that got kicked off the land after his father died during an emergency gall bladder operation. His eight older siblings, who had skedaddled as fast as they could out of West Texas, couldn’t (or wouldn’t) offer much support to him, his mother, and his little brother. My grandfather had an athletic scholarship to college, but it was not to be. Instead he went to a Civilian Conservation Corps camp (part of Roosevelt’s New Deal) to earn money to send home to provide for his mother and brother. Later in life he would always say that without that money, he didn’t know what would’ve become of them. No safety net back then except family. My grandfather, a severely taciturn man, got more talkative in his later years. 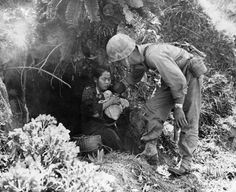 He told me the first dead people he ever saw were a mother and baby in an Okinawan ditch, killed by nervous American soldiers shooting into the dark. 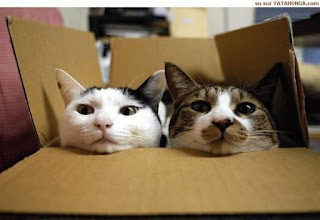 (The native Okinawans, frightened, tried to move around at night.) He told me during his time on Okinawa over one stretch he didn’t take off his boots for 28 days straight. During the Lodi bench era, I was a young mother living in San Francisco. I thought the bench and his note were both sweet and pretty much crazy. To this day, I have no idea if anyone took him up on his offer to set a spell. 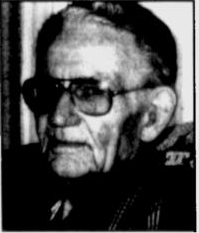 My grandfather died in 2002. My husband and I have raised three children in San Francisco. We live at the top of a big hill, one that goes half a mile straight up at a ten percent grade. 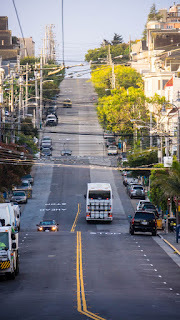 Big even by San Francisco standards, it’s a hill I walk or ride/push my bike up a dozen times a week, so I know its impact intimately. 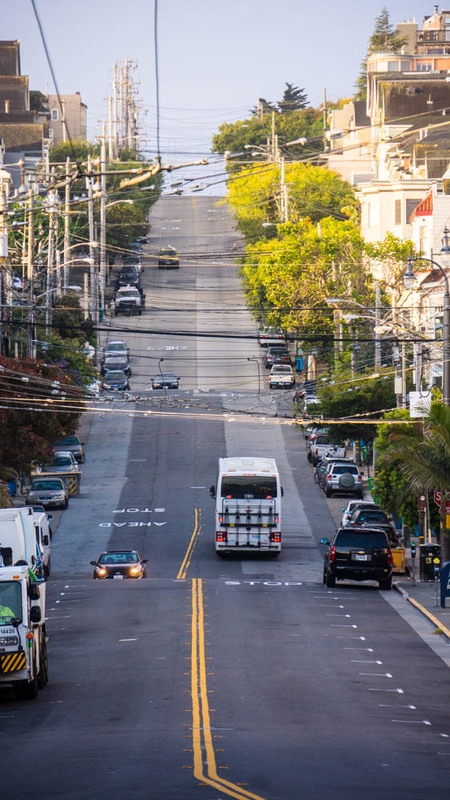 San Francisco is a fabulous city for walking. Since the act of walking provides huge benefits (see The Brilliance of Walking) not only to the walker but also to society at large, pedestrians ought to be encouraged and rewarded at every turn is my motto. Our street is often used to connect from one neighborhood to another, and I’ve sometimes seen elderly walkers sitting on our neighbor’s stairs for a rest. So I started thinking about community. I started thinking about my grandfather’s “set a spell.” I started thinking it might be nice to have a bench for those hardy souls cresting our hill to catch their breath. But when I researched the cost of a bench sturdy enough to stand up to street life, I couldn’t quite justify to my husband springing $300 out of sheer friendliness. 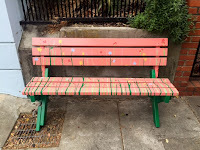 Then I stumbled across a blog that told me about the Public Bench Project, a labor of love by Chris Duderstadt, bench builder extraordinaire. 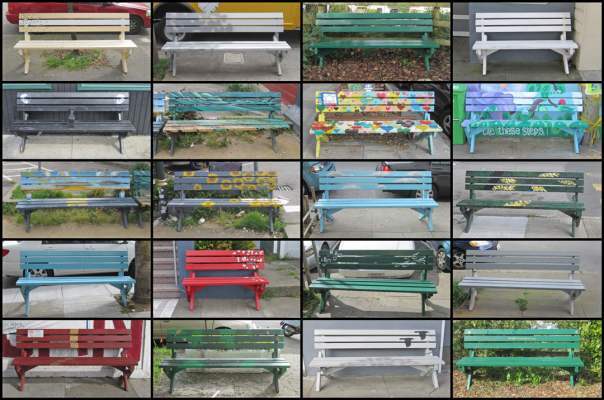 Chris was looking for stewards of public benches in San Francisco neighborhoods. 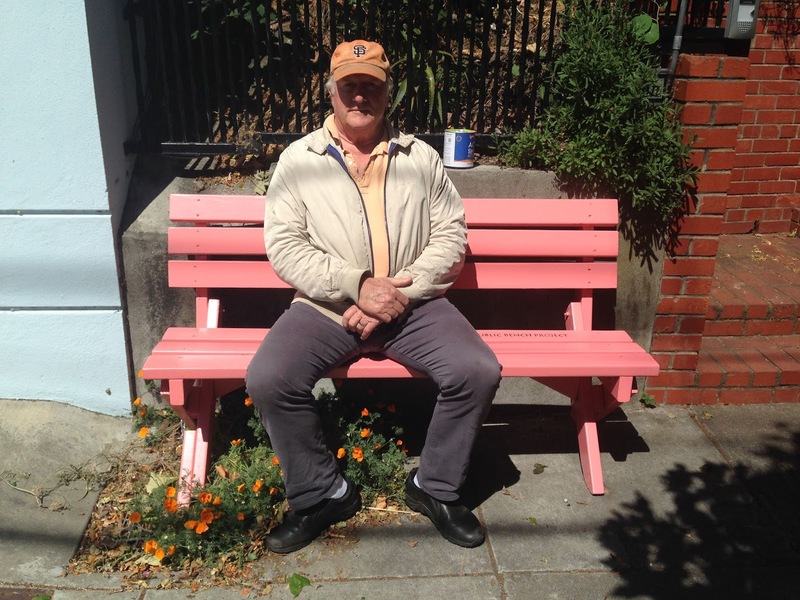 If you had a place for a bench and could commit to caring for it in the public realm, he would build you one for the cost of materials ($50). 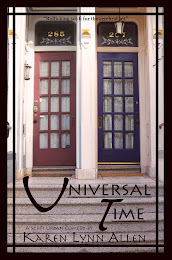 He would paint it any color desired, and we could customize it further with artistic enhancements of our choice. He'd already installed 65 benches in San Francisco. I was thrilled. I’d asked the Universe for a bench, and it had delivered. Perhaps my grandfather had whispered in its ear. The first step, Chris told me, was a trial bench, to see if the proposed spot was a bench-happy place. Most places were, he assured me, but it was best to try it out, see if the neighbors were chill, see if it created problems. 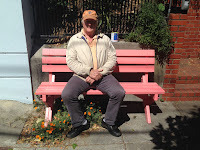 Since this was San Francisco, sometimes neighbors, he said, were concerned a bench might attract homeless sitters, homeless sleepers, or just general anti-social badness. Putting the bench out as a trial let everyone observe just what the impacts might be. Our bench spot is sunny in the morning and shaded in the afternoon, not a bad combination. It has a nice view of a row of picturesque Victorians across the street. But it’s a little narrower than the standard space, so we would get a five-foot bench rather than a six-foot one. 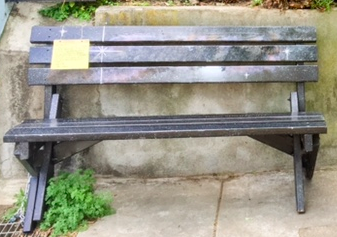 The trial bench he delivered was The Milky Way, a bench that had already seen service in a number of locations across San Francisco. Built solidly out of wood, it was sturdy and comfortable. Since we were on a slight slant, Chris bolstered one leg to make it even and then chained the bench to a grate so that it wouldn’t be randomly moved by mischievous teens. I attached a note to it, letting our neighbors know that this was a trial and to tell us what they thought about a bench in this spot. Over the next few weeks, the Milky Way sat placidly in front of our house with people indeed sitting on it from time to time. All responses from neighbors were positive. 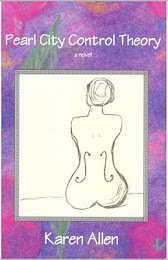 Chris’s design, refined over many iterations, included a slight curve to the back. The bench was low enough to be comfortable, but not too low to be difficult to stand up from. After six weeks passed and the bench induced no major calamities, Chris and I agreed to the creation of a permanent bench. I enlisted the aid of my artistically inclined middle daughter as to color and design. 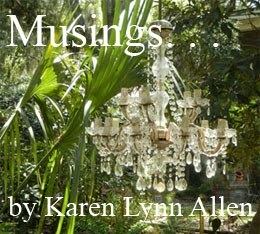 I said I’d like something with vines and flowers. She said to paint it coral. Flowers and greenery would pop nicely on that background. After my daughter and a friend spent a pleasant afternoon painting grasses and flowers on the bench in greens, yellow, blue, purple and red, it indeed looked less pink. 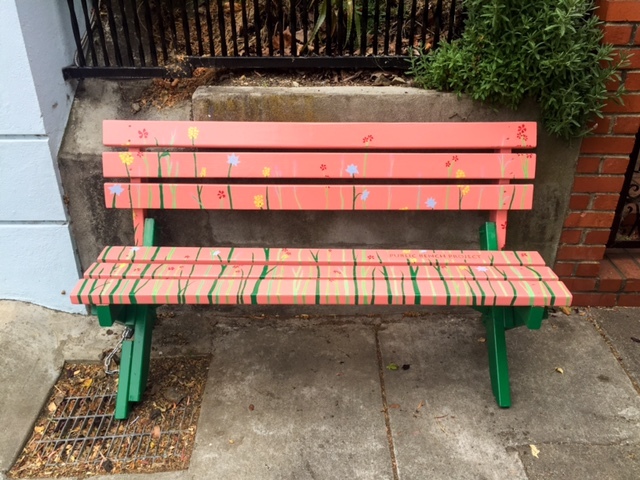 I’ve named the bench Cora Flora, in honor of her coral genesis. The bench is not in full view of our front window, so I can’t really see all who sit on it, though every once in a while I notice someone stop and set for a spell. 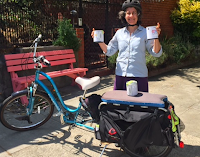 Once as I came home, I talked with a young couple from Germany who were happily seated while eating their frozen yogurt, bought at least half a mile away. There’s someone who sits on it while smoking Marlboros, because I’ve found three cigarette butts. (Hey Mr./Ms. Marlboro Man, try carrying a pocket ashtray rather than littering. Though I have to say, my grandfather was a chain smoker until emphysema forced him to go on oxygen.) One morning there was a pizza box and beer cans near the bench. Evidently someone had a party. Does anyone sleep on it? My husband, an early riser who often goes for walks at 6 am, has never seen anyone on the bench at that hour. 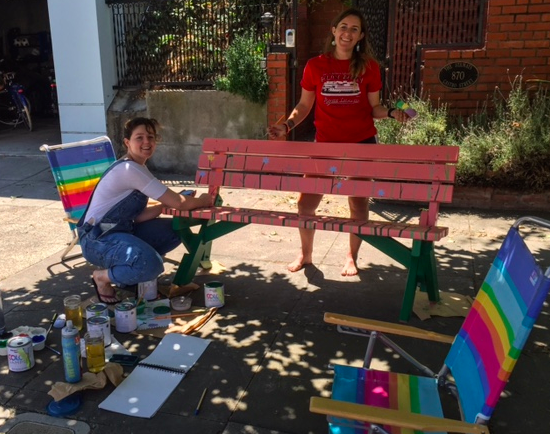 While my daughter and her friend were painting the bench, many passers-by were interested and asked questions about where they’d gotten the bench and why they were doing it. While we know most of our neighbors, one neighbor I’ve never spoken to crossed the street and told me how much he likes the bench. In the past, my husband and I have hosted a pop up happy hour in front of our house with lawn chairs, and we’ll try it again with the bench. We like the city the way it was in 1972. San Franciscans are like cats: they hate change. Any alteration of the city, no matter how small, arouses the same disdain and suspicion that a new chair incites in your domestic feline. (Your cat, however, will get a lot of pleasure out of the empty cardboard shipping box in a way your average San Franciscan will not.) As a result, some San Franciscans make a near career out of speaking out in public meetings against any and all forms of change, including any new form of seating. Real San Franciscans prefer the city to remain exactly like it was the year they moved here, whenever that was, but certainly before the tech hipsters and their barista friends showed up. Sitting is political, sitting is controversial, sitting is up to no good. Not only are there the homeless and teenagers to worry about (restless groups with no place to call their own who might call your space their own), there are those naked guys and their bare bottoms. (San Francisco actually had to pass an ordinance requiring naked guys to place cloths under their butts if they sit anywhere.) Standing is okay. Passing through is okay. Setting a spell--to watch the play of light and color, observe one’s fellow citizens, or eat some frozen yogurt--is not. This is not to say offering a place to sit has no negative consequences. I’ve got pizza boxes and cigarette butts to deal with now. 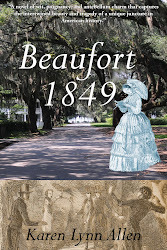 But should fear of dysfunction by a few preclude making a hospitable environment for all? We need our streets walkable and pedestrian-friendly. We need genuine community and social cohesion in our neighborhoods. We need to be able to set a spell. Sterile streets devoid of humaneness solve some problems but they cause others: isolation, hostility, apathy. Alienation. Lack of connection. People driving half a mile for errands they could easily walk. A world without public sitting is simpler, less messy, less scary, but offers a much poorer form of existence. This my grandfather knew. Cora Flora raises some questions. Where can teenagers go to eat pizza and drink beer? (Answer: nowhere.) Can providing frequent resting places make it easier for all sorts of people, including seniors, to walk their errands? (Answer: yes.) Are free, welcoming places to sit a fundamental element of a healthy democracy? (Answer: Jane Jacobs would say yes.) 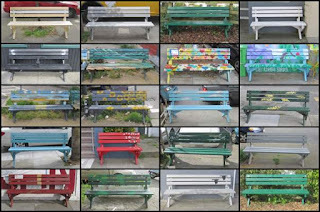 Can putting a bench on the sidewalk create community? Can it change the world? Answer: I suggest try it and see.